NEW YORK - JULY 24: An American Express card is shown on July 24 in New York CIty. Got a problem with your credit card or bank? Forget e-mailing or calling customer service. Tweet or post your dilemma and chances are it'll be resolved right away. American Express is one of the companies now scouring the internet to head off problems posted online. Leslie Berland is vice-president for social media strategy at American Express and says "there's a ton of technology that exists today that enables us to catch the key phrases -- be it 'Amex,' or 'American Express' or 'Card,' 'gold card,' 'green card,' that get pinged to us." 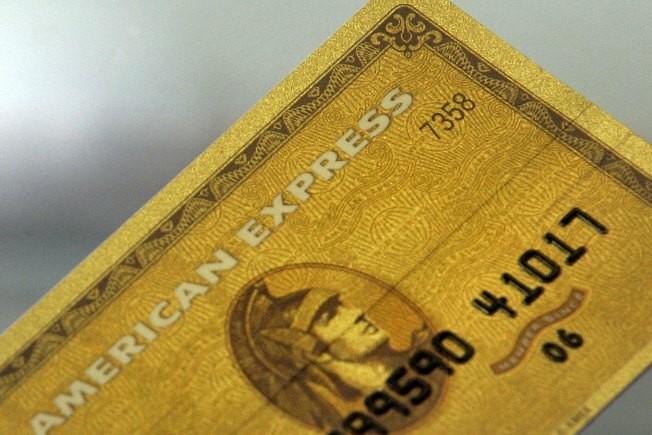 To streamline customer service, American Express now has a Twitter account @AskAmex. On that site, one customer recently tweeted:"I got an e-mail saying I got 12K points but when I log into Amex, I see 0 points. Why?" Shortly after, Rachel from @AskAmex tweets back, "I can look into. Where is your card issued?" As Berland explains, "..whether it be 15 minutes later or an hour later, we are having real time connections with those customers." Another example of a customer connection? Through Twitter, @JetBlue recently offered free tickets to anyone who dropped off two cans of food at Times Square. The tickets were gone immediately. Companies are also setting up pages on Facebook, offering special deals just for their "fans". However, remember that any post you put online is available for the public to see, so don't give out any specific information. And if you're sending a tweet, don't just send the tweet. Also make sure that you "follow" that company, so that they can　Direct Message -- or DM -- you privately." It seems posting an issue online could net you a faster and more satisfying result. As Berland points out, "it's more than service, its actually PR and marketing." She adds:"And I think in today's environment companies no longer own their brands, the people do."